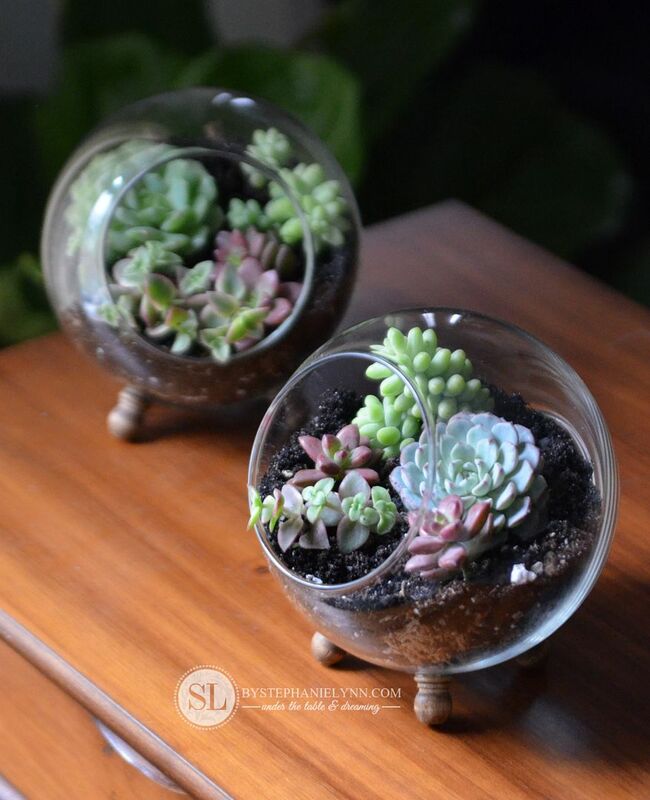 How to Make a Glass Globe Terrarium – DIY Succulent Dish Garden #michaelsmakers | My favorite gifts to give, and receive, are those that keep on giving well after the holidays have past. You can never go wrong with living plants in my book. 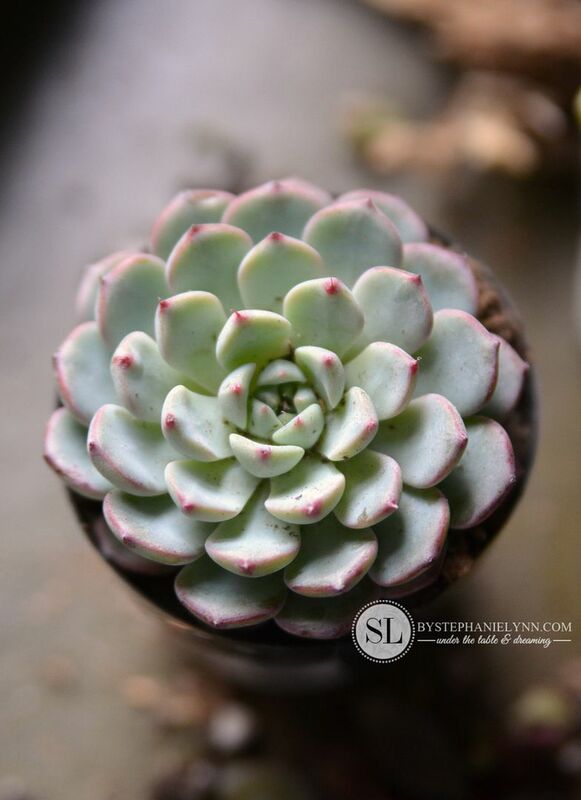 Especially succulents – which are easy to maintain and require very little care. Today’s project not only includes these marvelous plants, that I simply adore, but provides a cozy glass home for them to thrive and grow. 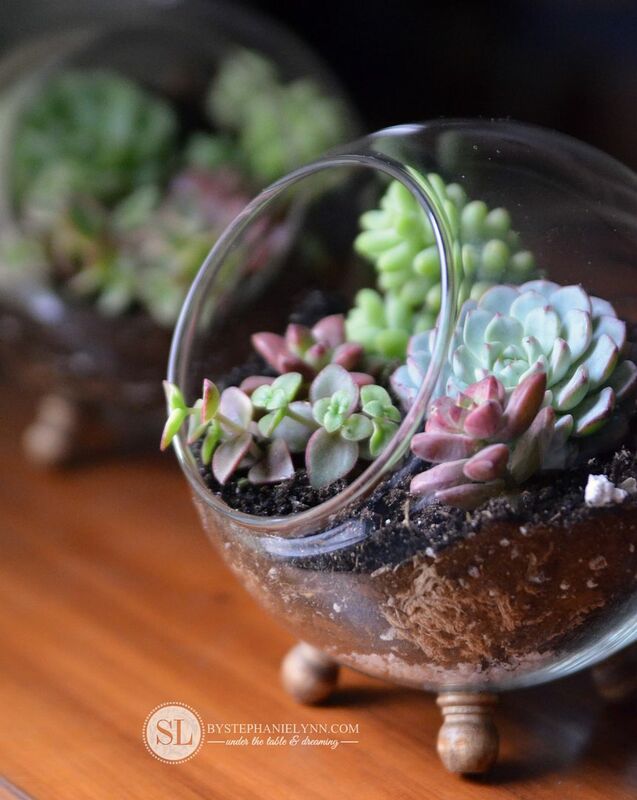 The glass globe terrariums are incredibly easy to put together and require just one skill – glueing! 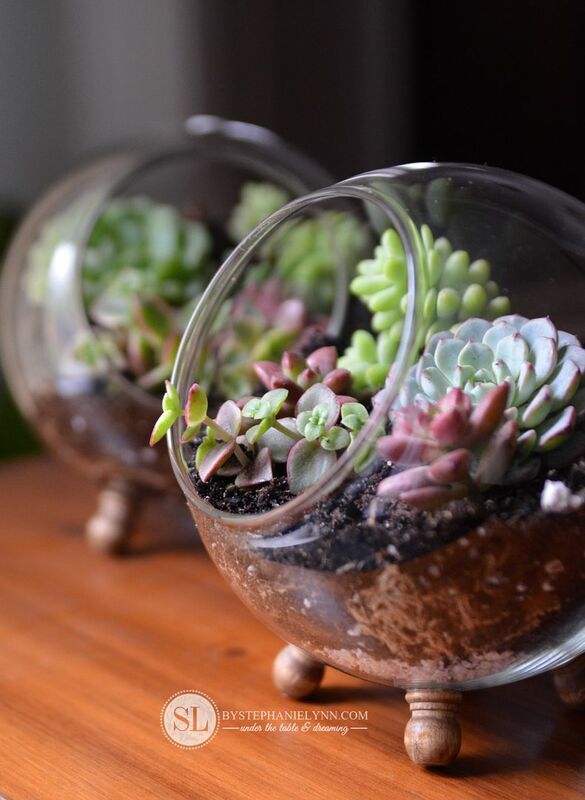 These succulent dish gardens were created for the Michaels Makers December theme of handmade holiday gifts and creative gift wrapping ideas. That means all of the supplies needed to create the glass globe terrariums can be picked up right at your local Michaels. Of course you’ll also have to stop by your local garden center for the live plants and dirt. 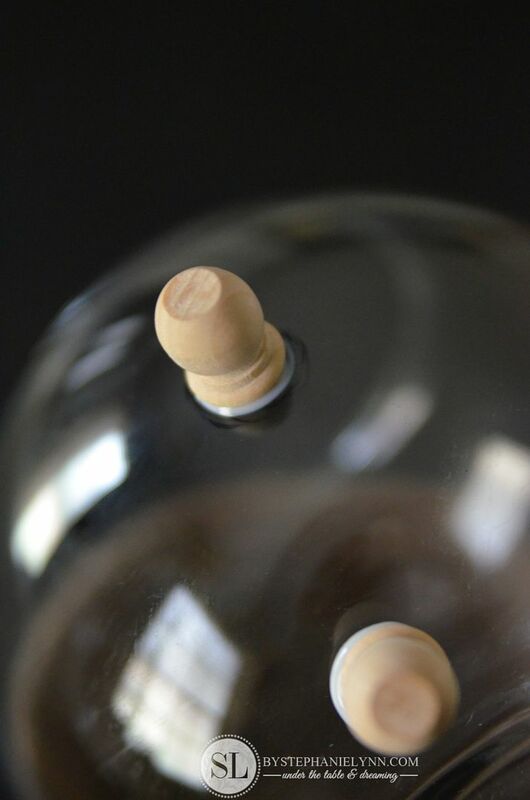 Step One: Use the mounting putty to position the dowel caps onto the side of the glass globe. It takes a little maneuvering to get the wooden dowel caps placed correctly – so the mounting putty is only temporarily used to get the placement right and create some guidelines. 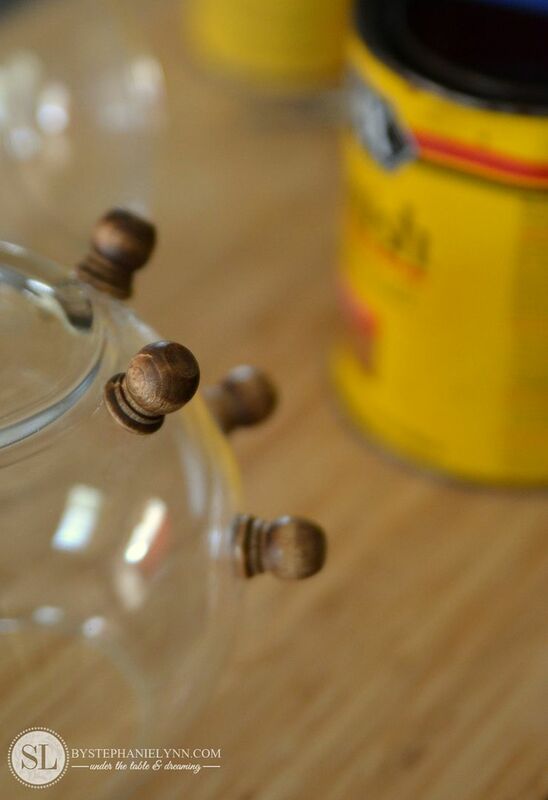 Step Two: Use a Sharpie to mark the placement of the wooden dowels, inside the glass globe. 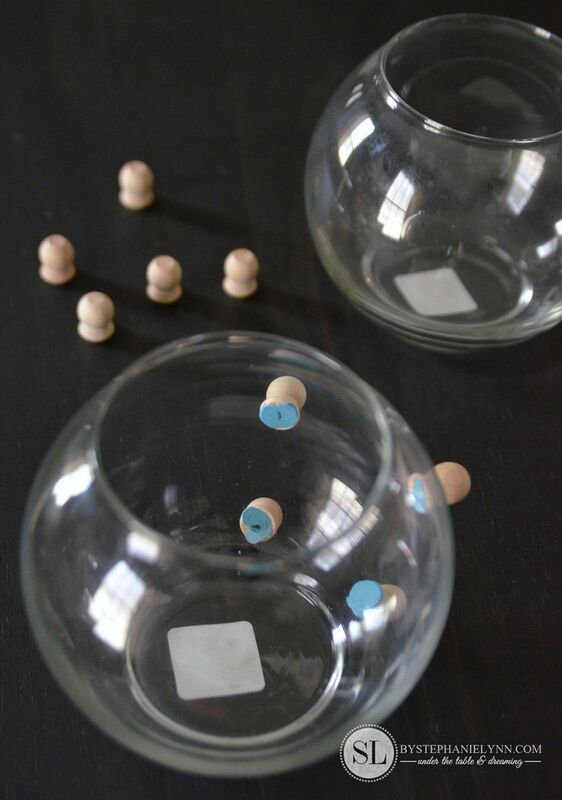 Don’t worry about the Sharpie marks – they easily wipe right off the glass with a little bit of cleaner. Step Three: Remove the mounting putty from the wooden dowel caps, making sure to remove any residue left behind. 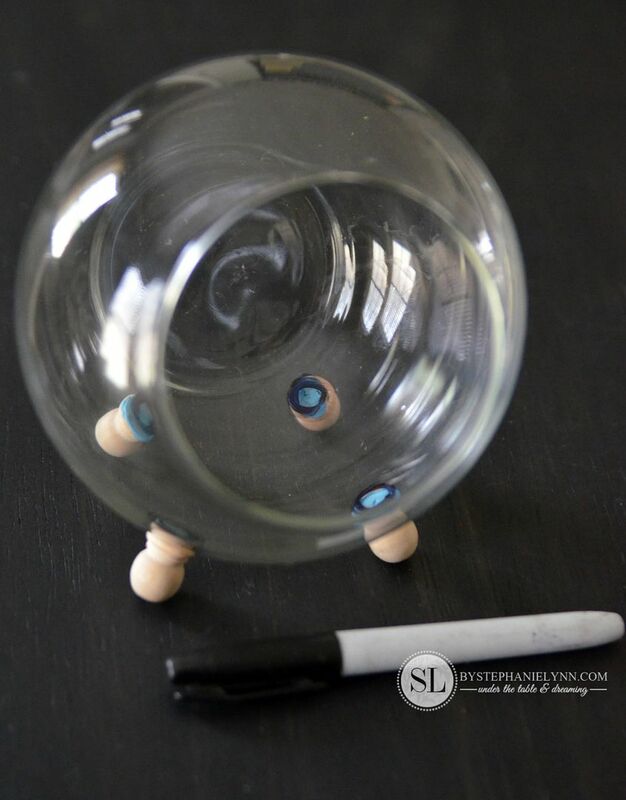 To prevent the glass globe from rolling around, sit it on top of a wide rimmed cup or bowl with the Sharpie marks facing up. 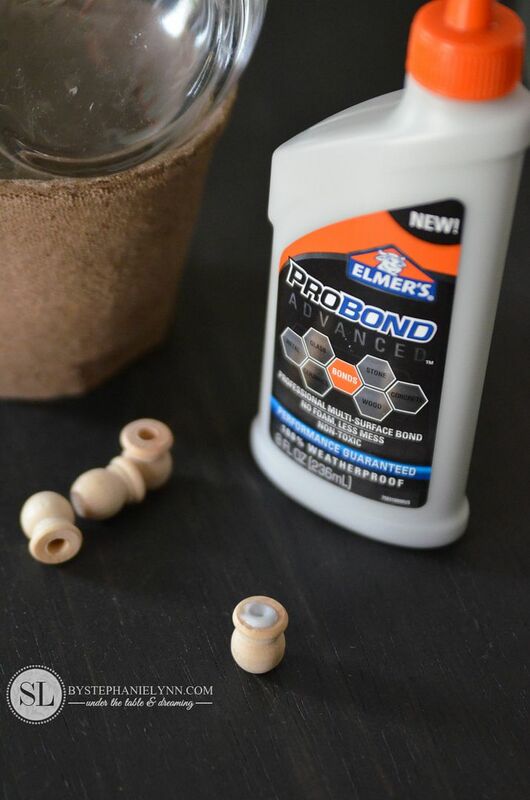 Attach the wooden caps to the glass bowl with the Elmer’s ProBond Advanced . This glue is made to bond two different mediums together – like glass and wood. I highly recommend this specific brand for this project. The glue grabs quickly and dries clear so you don’t have to worry about any messes. Since there is no ‘clamping’ – I suggest to let the glue sit, dry and cure for 24 hours. Step Four: Once the glue has completely dried stain or paint the wooden dowel caps. 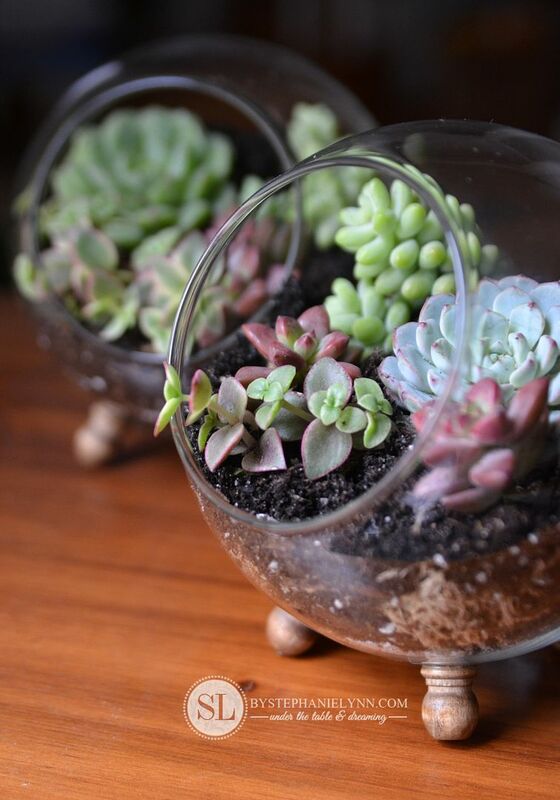 Open terrariums are perfect for sun loving plants that prefer a dry environment – like succulents and cacti. Succulents have shallow root systems so I picked up a few minis at our local garden center to tuck in the glass globes. 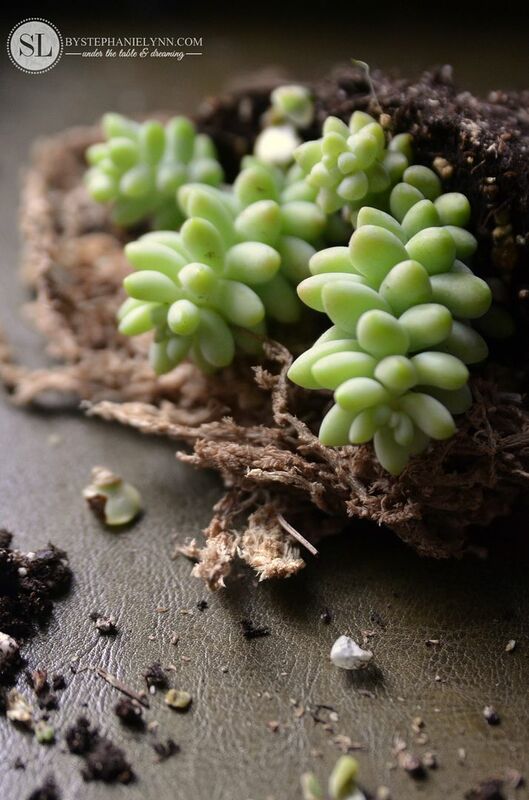 There are many successful soils for succulents as they are not real fussy plants. 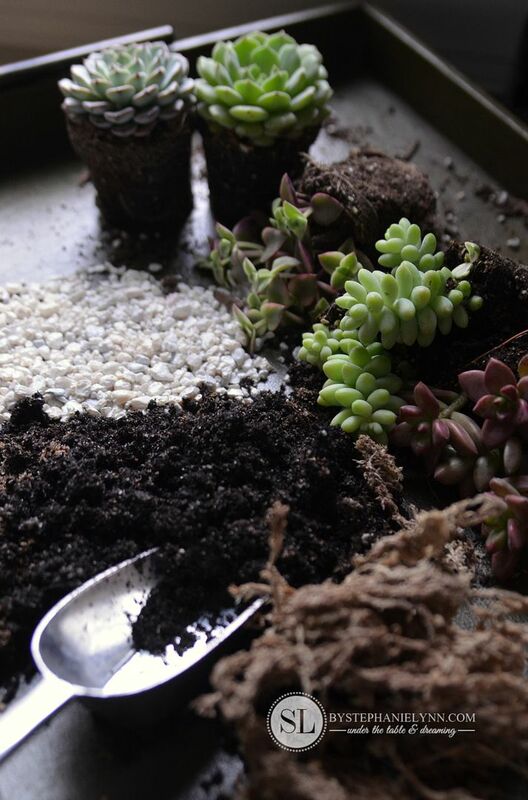 You can make your own using equal parts of potting soil and pumice or perlite – or simply use pre-mixed Cactus Soil. The only other materials needed are some pebbles (to aid in drainage), charcoal (to keep the terrarium fresh) and sphagnum moss (to filter the soil). Begin by filling the container with a layer of pebbles. The pebbles on the bottom allow for good drainage and prevent root rot. Next add a layer of Sphagnum Moss . The moss will allow water to drain while providing a barrier to prevent your soil from settling down into the rocks. Then sprinkle a light layer of activated charcoal. This is optional. The addition of charcoal filters the air and keeps it fresh. Activated Charcoal is generally used in aquarium filters and can be found in pet stores. 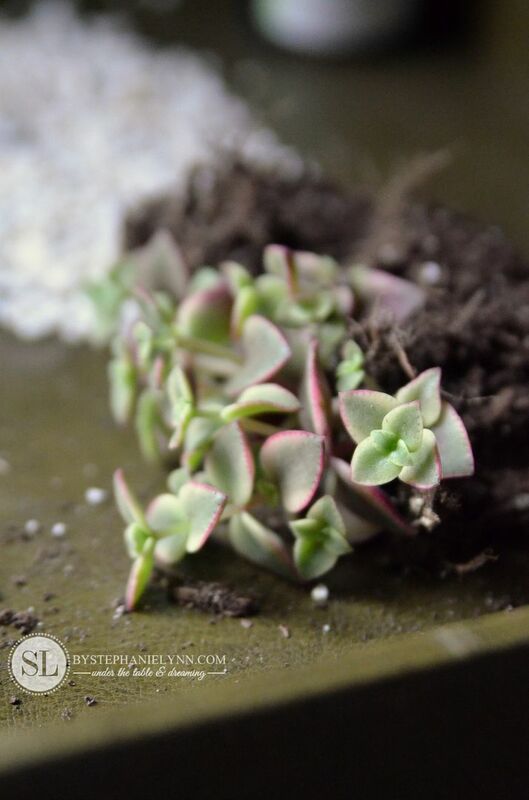 Finally fill the container with the soil and tuck in those gorgeous succulents. 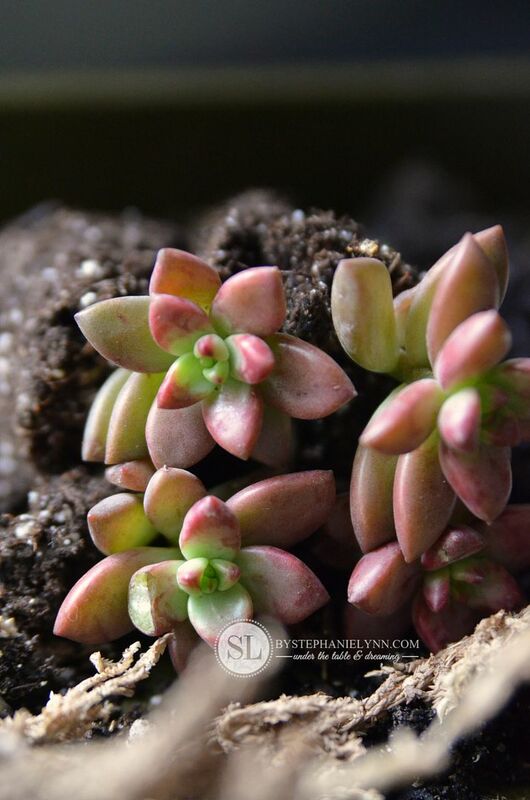 The two key elements for succulent success are a sunny location and light watering. 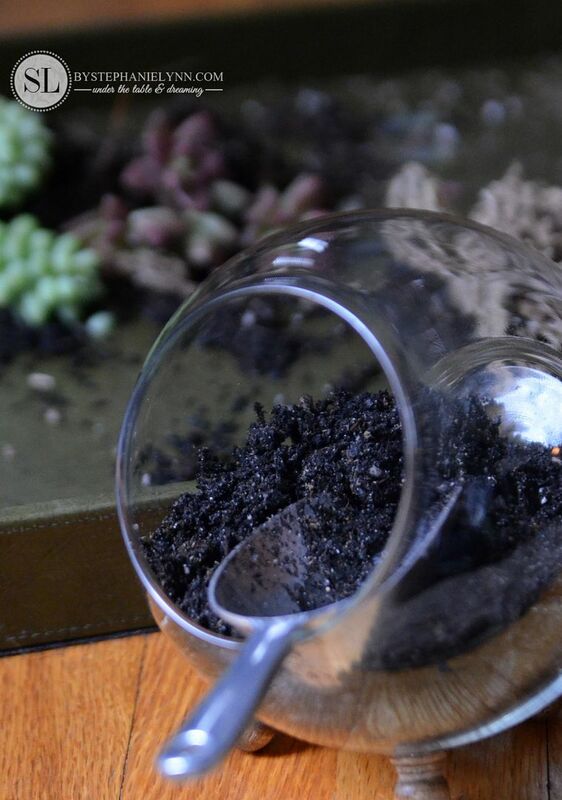 These terrariums will only need a teaspoon of water every month. Sometimes simple homemade gifts are the best gifts of all. This post is brought to you by Michaels . The opinions read here are entirely my own. Kick off the holiday season with Michaels . If you’re looking for the perfect gift for your loved ones this year, check out the Gift Guide from Michaels. Did you know you can now shop online with Michaels with Free Shipping on orders over $50 or free in store delivery? Happy Holiday crafting! 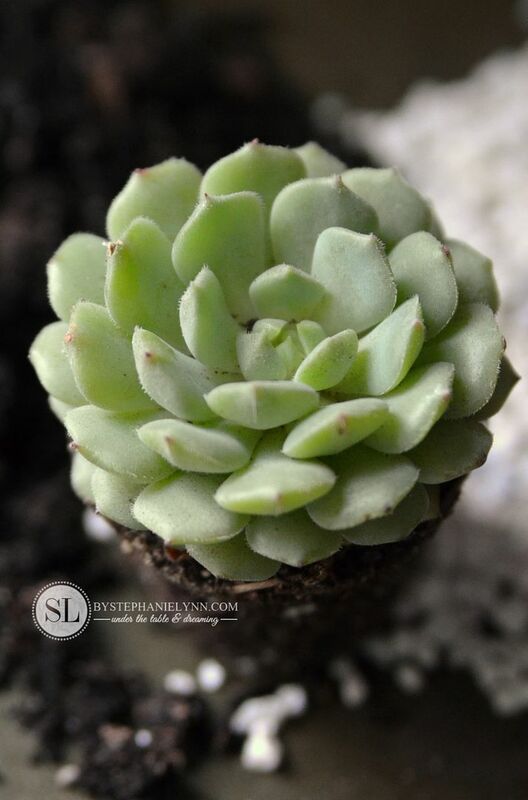 I love succulents, and this is such a beautiful way to showcase them. Thank you! I was happy to see this great post. 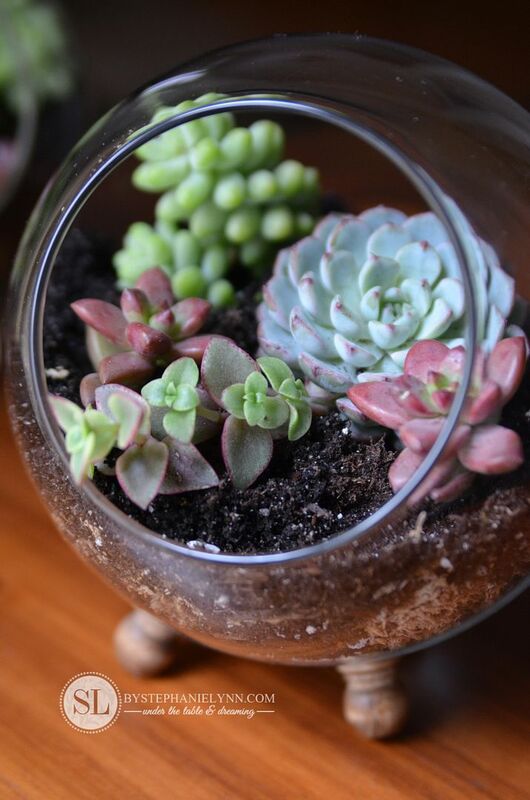 I was just thinking earlier this week that I wanted a glass container project with succulents ! Beautiful pictures and a lovely finished product.